Blue Skies Recycling takes a proactive approach to recycling rather than reactive in order to reduce landfill waste and improve the environment. Through customized waste collection, valet pickup, “green marketing” services and workplace sustainability programs, Blue Skies makes it easy for clients to do the right thing by properly recycling organics, paper and glass. While technology and times have changed, their commitment to their clients and advancing a sustainable environment remains solid. 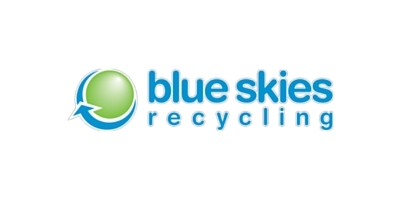 With more than 80 years of experience, Blue Skies helps companies meet and exceed their recycling goals. Biggest Challenge: In a market with low waste removal costs and slow “green practices” adoption. Outcome: Exit from being the “middle” man to serving as the end composting facility. Services Provided: Branding, Business Process Improvement, Call Strategies, Collateral Creation, Content Creation, Database Creation & Management, Email Marketing, Event Management, Franchising Model, Grant Writing, Graphic Design, List Management, Market Research, Operations Process Improvement, Sales Process Engineering, Search Engine Optimization, Social Media, Training Curriculum, Video Production, Website Creation & Maintenance.